Lemala presents a collection of authentic and classic safari tented camps and lodges in the Serengeti National Park and Ngorongoro Conservation Area. These make up a significant part of the famed Northern Circuit, a naturally splendid region of Tanzania and one of the most celebrated safari areas in Africa where the sheer concentration of wildlife is simply phenomenal. Lemala’s camps and lodges are superbly sited discreetly away from the crowds in beautiful wildernesses. Thanks to careful positioning with access to prime wildlife areas, Lemala’s guests can enjoy fantastic game viewing at any time of year. We also have mobile camps that are erected specifically to witness the different stages of the wildebeest migration, and walking safaris that offer the opportunity to explore remote corners of the Northern Serengeti. Asilia Africa is committed to delivering the best wilderness experience in Africa. Our personal service and outstanding guiding offer safaris that make a lasting impression. Our 20 camps are positioned within iconic natural habitats in Kenya and Tanzania to give you an unparalleled and honest safari experience. Asilia believes in safeguarding the pristine habitats that support Africa’s increasingly threatened wildlife. We aim to ensure the viability of these habitats – such as the vast Serengeti-Mara ecosystem – so that the wild animals that have always lived here survive and thrive. We make bold and often pioneering investments into ecologically fragile areas with a view to turning them into sustainable economies. We believe that people and nature are inseparable partners on this journey; our goal is to make a lasting difference everywhere we work. Your journey matters – both to us and to the unspoiled wilderness it helps to sustain. Game Packages and Photographic Safaris with our fleet of 4×4 Custom Safari cars, will make our Guests discover the many cultures and the diverse environments of Tanzania, making the Big Five almost impossible to miss. Tanganyika Wilderness Camps presents a unique collection of Permanent Tented Camps, Mobile Camping and Lodges in Tanzania. Our properties are all situated in private areas of exceptional natural beauty, rich in wildlife and inhabited by spectacular local tribes and a farm at the foot of the Ngorongoro Crater. The main aim of Tanganyika Wilderness Camps is to provide our clients with a highly memorable safari experience in exclusive camps and lodges, which offer an atmosphere of privacy and intimate isolation. At the same time we were committed to the long-term conservation of the environment and wildlife, working closely together with the local communities to help improve the living conditions of the people. We believe that long-term conservation of wildlife in Africa will only be possible if local people are involved and benefit from it. Africa, the birthplace of the safari, is home to a melting-pot of colourful and engaging cultures and is a continent filled to the brim with landscapes that will imprint themselves on your memory with their beauty and astounding contrasts. This is the land of Big Five sightings and adventure-packed activities that will keep you coming back for more. To complement the exceptional experiences we offer in Africa, &Beyond has crossed the seas to South Asia and South America to offer you an equally comprehensive range of destinations prized for their cultural heritage, magnificent array of wildlife and experiences that touch the very base of your soul. Centred around our core ethos of Care of the Land, Care of the Wildlife and Care of the People, &Beyond is globally recognised for creating unforgettable, tailor-made safaris and tours in the iconic destinations we operate in. If you’ve never been to Zimbabwe before, you’re in for a treat. After all, it’s one of the most beautiful, enigmatic, diverse and friendly countries in Africa. At Imvelo, we aren’t just about luxury lodges and there’s more to us than spectacular photographic safaris – we believe in enriching the lives of those who live around us as well as our guests. We are determined to ensure that it’s the local people and wildlife that directly benefit from our visitors. Welcome to African Bush Camps, a private, owner-run African-based safari company that speaks of the art of service and offers you an authentic safari experience in the untamed African wilderness. Focused on your experience as our guest, our professional guides and naturalist enthusiasts will be at hand to ensure your journey with African Bush Camps is the very best safari experience available. If you are in search of unique wildlife encounters, thirst for adventure and want a Safari rich with African wildlife and culture, then you have found the ideal safari partner. African Bush Camps offers you a variety of exclusive safari camps to fit today’s modern traveller. Whether it be on the mighty Zambezi River, in the Okavango Delta or soaring over the Linyanti Marsh, we invite you to join us for an incredible and memorable journey. We look forward to hosting you in our quintessential Africa. What is it that makes a hotel unique … unforgettable even? Perhaps it’s the setting, maybe the overall experience. At Newmark Hotels, Reserves & Lodges however, it is the passion and focus that lives within this hotel management company that makes all the difference. With a heritage spanning 40 years, the company has distinguished itself as an industry leader while creating a tradition of excellence with a portfolio of boutique hotels & lodges that speak to the discerning guest, including the Victoria & Alfred Hotel, Dock House Boutique Hotel & Spa, Queen Victoria Hotel, La Splendida Hotel, Motswari Private Game Reserve and Geiger’s Camp in the Greater Kruger Area, Nkomazi Game Reserve in Mpumalanga, Drostdy Hotel in Graaff-Reinet (Eastern Cape), Coral Lodge 15.41 in Northern Mozambique and Nyungwe Forest Lodge in Rwanda. The Chobe National Park riverfront is quite simply one of the most impressive safari experiences in Africa. 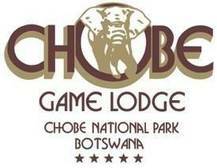 And Chobe Game Lodge boasts the best location from which to explore this incredible wildlife spectacle. We offer private access to 2.5 million hectares (over six million acres) of Africa’s finest wildlife and wilderness areas through some 50 luxury camps and safaris across eight African countries: Botswana, Kenya, Namibia, Rwanda (2017), Seychelles, South Africa, Zambia and Zimbabwe. Our wildlife, marine and cultural safaris in remote, pristine wilderness destinations are specialised, educational, explorative and fun. 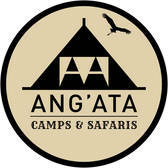 Vintage African Safaris: Intimate Camps with personalised service. From the beginning, the aim of Kwando Safaris was to build a Botswana circuit of the finest intimate and exclusive camps, in order to provide our guests with access to the very best that this remarkable country has to offer.